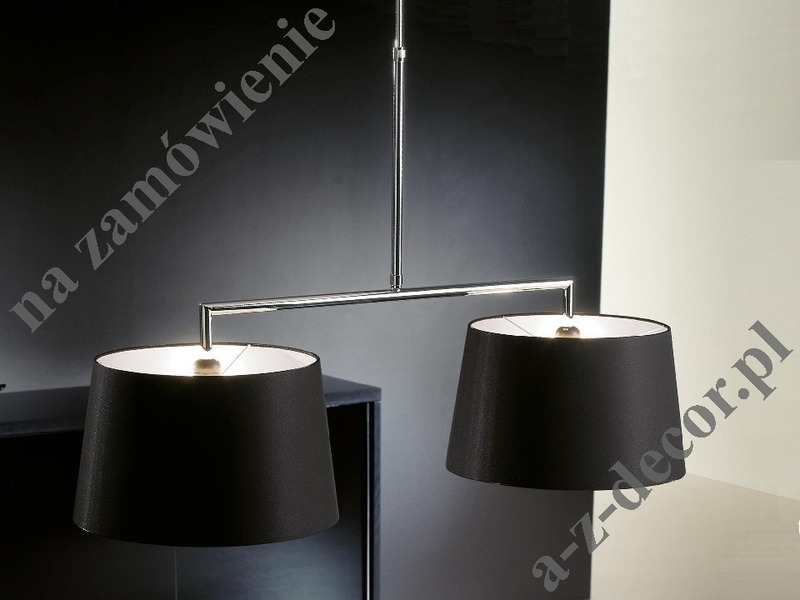 DELTA Silver - Doble Big Ceiling Lamp 95x60-90 cm with two Lux Black Silver conical lamp shades equipped with diffusers. The diameter of each lamp shade is 35 cm. Light sources: 2 x E27, max. 60W or 15W eco.